General health and overall wellbeing is maintained and strengthened by a combination of factors. These factors are in our control and are made up of our daily thoughts and actions. 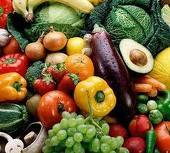 Good Nutrition: Food provides carbohydrates, protein, fat, vitamins and minerals essential for our bodies. Drinking water is also essential as that is the single largest component of the human body. We should be eating foods that are full of the nutrients listed above. We should not be eating foods that are categorized as empty calories. A chocolate bar, for example, has calories but no vitamins or minerals. 2. 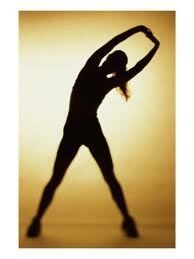 Regular Exercise: There are 3 general categories of exercise: aerobic, strength training, and stretching. Aerobic exercises are things like walking, hiking, swimming and cycling. These exercises help your heart and lungs stay healthy and should be performed 3 times a week. Strength training may involve using weights but also includes exercise such as pushups, sit-ups, chin-ups, etc. Strength training helps build and maintain muscle mass which is what absorbs energy first when performing tasks. When your muscles become fatigued then your bones and joints take the brunt of the task and can break down. Stretching exercises keep us flexible an help to maintain mobility. 3. Enough Rest: Most of us need 7 to 8 hours of rest per night, though there are those that need more or less. Avoid sleeping on your stomach since you have to turn your head to breathe. This results in abnormal stress on the neck and upper back. Don't slouch when you sit! Sit straight up with you back against the back of the chair and your feet flat on the floor. 4. A Positive Mental Attitude:Negative thoughts and emotions can actually change your body chemistry and in a sense poison your body. You're going to have your ups and downs, but generally having a positive attitude towards your life is much healthier. 5. 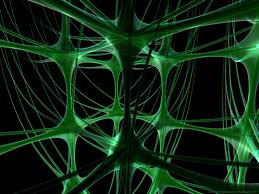 Nervous System Integrity: The brain communicates with the body through the nervous system. If there is trouble with this connection health problems can arise. Nervous system "interference" occurs in the spinal area due to the close proximity of the spine to your spinal cord and spinal nerves. Chiropractors check the spine for proper alignment and mobility because of the affects it has on the nervous system.